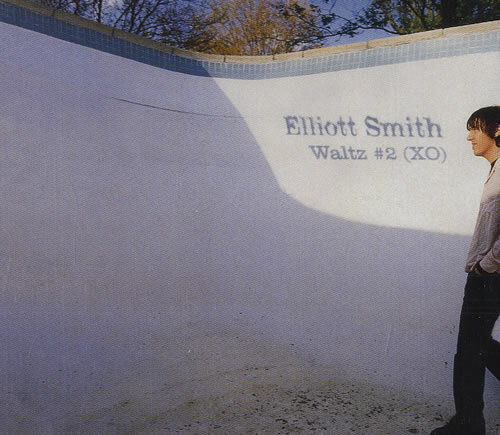 Ambitious, bold, intoxicating, and beautiful, “Waltz #2 (XO)” is the apex of Elliott Smith’s career: the fulfillment of every promise ever made by his Kill Rock Stars records and then some. Rhythmically, the song is indeed a waltz — written in 3/4 time signature — and listening to it, it’s not hard to imagine a room full of couples dancing close, drunk, alive. Again, all of Smith’s lyrics are open to individual interpretation, but this one seems pretty obviously about his mother, his mother’s decision to build a home with Elliott’s allegedly abusive stepfather (“That’s the man she’s married to now / That’s the girl that he takes around town”), and Elliott’s decision to leave (“I’m so glad that my memory’s remote / ‘Cause I’m doing just fine hour to hour, note to note”). The bridge is one of the most aching and moving moments of music in a catalog that is entirely aching and moving, as Elliott sings of the prison-home provided by his mother, “I’m here today, expected to stay on, and on, and on,” his voice going higher and higher. But again, the intention of the song has been erased by its audience, almost surely for the better. When Elliott sings, “I’m never gonna know you now, but I’m gonna love you anyhow,” he’s singing to his mother, the woman whose choices forced him to leave. But since his death, the subject has changed. Now, it’s us singing to him, individually, imagining what was lost, reading between the lines, feeling grief and anger and frustration, never knowing, but loving him anyhow.